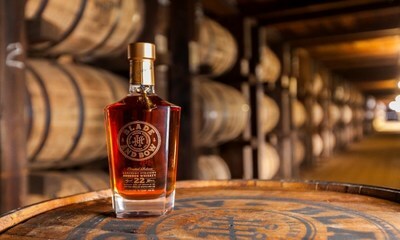 LOUISVILLE, Ky., April 9, 2019 /PRNewswire/ — In celebration of the historic opening of the Stitzel-Weller Distillery 84 years ago, Blade and Bow re-releases its rare and limited 22-Year-Old Kentucky Straight Bourbon. An ode to the distinctive distillers who set the standard for crafting exceptional bourbon, this award-winning whiskey is the latest release from the famed distillery and will be available in 12 states along with a select allocation solely for Stitzel-Weller. Diageo is a global leader in beverage alcohol with an outstanding collection of brands across spirits, beer and wine categories. These brands include Johnnie Walker, Crown Royal, JεB, Buchanan’s, and Windsor whiskies, Smirnoff, Cîroc and Ketel One vodkas, Captain Morgan, Baileys, Don Julio, Tanqueray and Guinness.